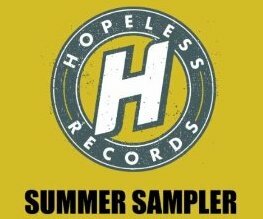 For those of you who missed out on the first Hopeless Records free music sampler release, there is now another available. This time the sampler is on Amazon and it offers a few of the songs that were on the original summer music sampler. I know some of you have mentioned that you missed the original opportunity and asked where you could download these tracks. Unfortunately this release doesn't offer any songs from Hopeless Records heavyweights Yellowcard and All Time Low, but still a solid 9 tracks. Don't miss out on this one!